Mia Wasikowska stars as Edith Cushing in Crimson Peak. Scares — from haunted houses, monsters and even the Cold War — are big in the new releases coming to Utah theaters this week. 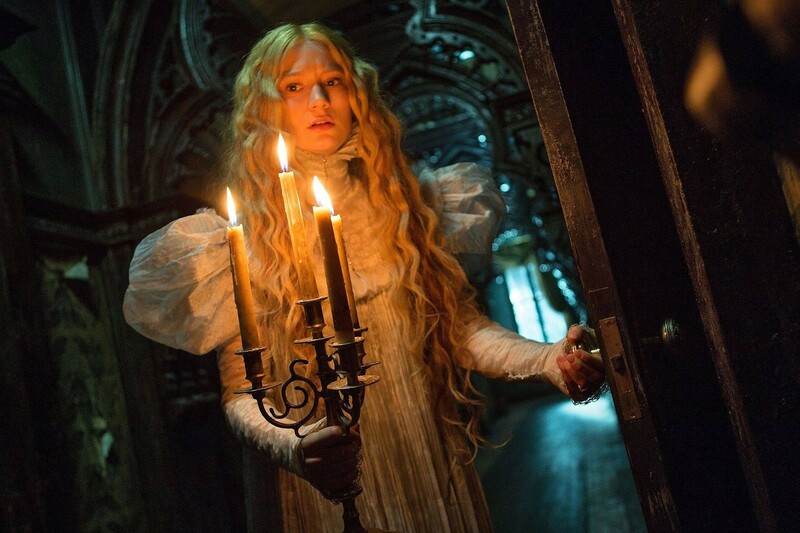 Guillermo Del Toro's fascination with elaborate visual style finds a perfect foundation in the gothic ghost story of Crimson Peak (pictured). Goosebumps delivers a witty family adventure, but one with a familiar vibe and no real willingness to be scary. Zhang Yimou's drama Coming Home turns two lovely performances into a haunting story of a husband struggling with is wife's dementia. The earnestness in the central relationship of the fact-based Freeheld can't quite overcome that it's a story built around people giving speeches. Also opening this week, but not screened for press: The fact-based, faith-based sports drama Woodlawn, about racial tensions on a high-school football team. In this week's feature review, Tom Hanks' ability to make fundamental decency interesting to watch elevates Steven Spielberg's Cold War-era true story Bridge of Spies.